1. 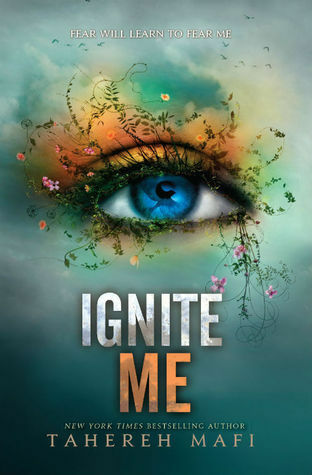 Ignite Me by Tahereh Mafi - I am sure that everyone agrees with me about choosing Ignite Me. Whether you are #TeamWArner or #TeamAdam, we all can't want to see who Juliette stays with and what will happen in the end. 2. 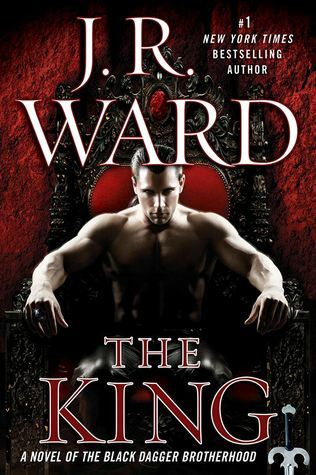 The King (Black Dagger Brotherhood) by J.R. Ward - Although this is NOT how we all picture Wrath, I cannot wait to read it. J.R. Ward is my hero and just knowing that I will get another book about Wrath, I get all giddy inside. I can't wait!!! 3. The Treatment by Suzanne Young - I mean honestly how can this not be on my list. 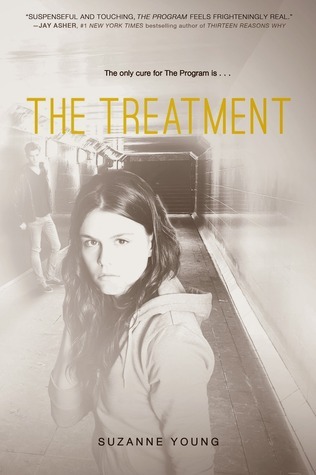 The Treatment is the sequel to The Program and we all know how much I'm obsessed with that book. Read it, please! 5. 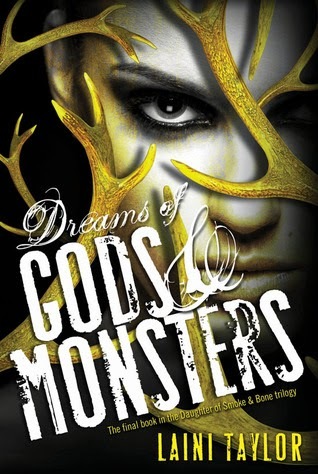 Dreams of Gods & Monsters by Laini Taylor - I would give my right arm to have this book right now! I just cant wait to see how this amazing story is going to end. Karou has to be one of my favorites females character ever, and Akiva, well he is just Akiva *dreamy eyes* ! 6. The Retribution of Mara Dyer - Oh.My.God, after how the second installment in this series ended I was just ready to hurt someone, because, COME ON! How can you end a book like that? Seriously! I am ready for this book, my body is ready, my mind is ready, can I have now? Pretty please! 7. 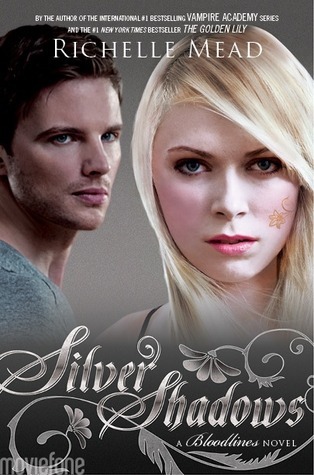 Sweet Reckoning by Wendy Higgins - I am a huger fan of the Sweet Evil series. I really cant resist Kaidan, he is just to much. I am excited to see how Anna's journey is going to end. 8. 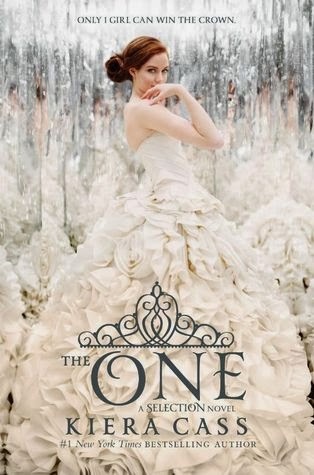 The One by Kiera Cass - I was not a big fan of The Elite but I am intrigued by how all this is going to play out. I really expect big thing about this finale. Hopefully Maxon gets the princess that he is looking for. 9. 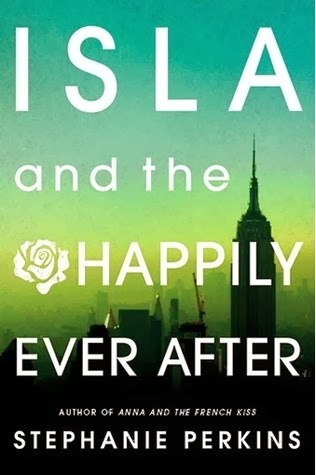 Isla and The Happily Ever After by Stephanie Perkins - Can someone just give me this book already? I cant wait any longer! I need this! Ok, enough with the drama but seriously, Stephanie Perkins is an amazing writer and I am really excited to meet Isla. 10. 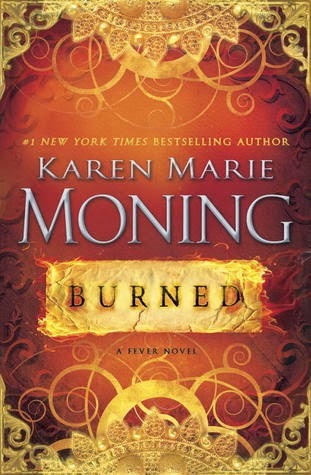 Burned by Karen Marie Moning - Barrons? Oh yes, please! Well if you have read this series you know what I am talking about and if you have not read it yet I would advised to do it ASAP! This is just simply amazing and complicated. Those are our picks for this week, what are your choices? Feel free to share them with us! I do hope Burned comes out next year! I still need to read Iced, but this release date keeps changing...still very excited though!! Great list! I see The One is on your list! The Selection series is quickly finding its way to the top of my TBR list! I have been in a YA mood recently. I'm glad I am not the only one who doesn't think that cover looks like Wrath either. I have been wanting to read the Mara Dyer series, but with that reaction, maybe I'll wait until the third book is out to save me from a prolonged waiting period. I'm so excited to read The One too, I need to know who America ends up with and how the author wraps up the trilogy! 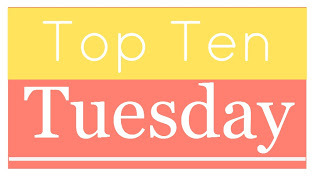 :) Thanks for stopping by my TTT list! The Treatment looks interesting, which means I have to read the Program now! The wait for Isla is just torture! I'm so excited to see Josh again - he was such a great character! OMG! Yes! Yes ! And HELL YES to all the books you guys picked! I can't even choose a favorite one in your list, dying to read Retribution, Burned, Sweet Reckoning, Silver Shadows, The king, Ignite Me and..oh, that's all of them :) Thanks for stopping by. Holy crap, I like your list!! I forgot about The Treatment on my list-- def looking forward to that one! Also-- Ignite Me, The King, and YES FINALLY--- The Retribution of Mara Dyer!! Can't wait! Oh The One, I wish it was coming out like TOMORROW! You've got some great books on this list! !